U.S. stocks rose on Friday, following better than expected corporate earnings from major players and found comfort in the view that geopolitical tensions in appeared contained. The Dow Jones Industrial Average rose 123.37 points, or 0.7 per cent, to 17,100.18. Google led the rally. 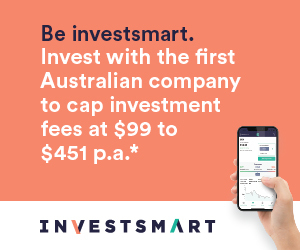 Its stock jumped 4.2 per cent to $US605.11 a day after the No. 1 internet search company reported second-quarter results that beat investors' expectations. The S&P500 rose 20.10 points, or 1 per cent, to 1,978.22 and the Nasdaq gained 68.70 points, or 1.6 per cent, to finish the week at 4,432.15. In economic news, the leading index rose by 0.3 per cent in June, short of the 0.5 per cent forecast gain and consumer sentiment eased from 82.5 to 81.3 in July, short of the 83.0 forecast result. In commodity markets, Oil prices have slipped, one day after a Malaysia Airlines passenger plane was shot down in battle-torn eastern Ukraine and Israel began a ground assault in Gaza. New York's benchmark West Texas Intermediate (WTI) for August closed at $US103.13 a barrel, down six US cents from Thursday's closing level. In London, Brent North Sea for delivery in September fell 65 US cents to settle at $US107.24 a barrel. Gold futures retreated as investors reassessed the geopolitical situation in Eastern Europe. Gold for August delivery, the most active contract, on Friday fell $US7.50, or 0.6 per cent, to settle at $US1,309.40 a troy ounce on the Comex division of the New York Mercantile Exchange. Base metals closed lower on the London Metal Exchange (LME), three-month Cooper contract closed down 0.2 per cent at $US6,984.50 metric ton and Nickel fell particularly hard, ending the session down 2.9 per cent at $US18,660 a ton. The Australian dollar is higher as markets recover from news of the Malaysia Airlines crash in eastern Ukraine. At 0700 AEST on Monday, the local currency was trading at 93.93 US cents, up from 93.72 cents on Friday. In local economic news on Monday, the Commonwealth Bank of Australia releases its business sales indicator and the US, the National Activity Index is released. In equities news, Aquila Resources is expected to post its quarterly activity report. In Australia, the market on Friday edged higher despite local investors and markets around the world being unnerved by the shooting down of Malaysia Airlines flight MH17 in eastern Ukraine. The benchmark S&P/ASX200 index gained 9.3 points, or 0.17 per cent, to 5,531.7 points. The broader All Ordinaries index also lifted 9.3 points, or also 0.17 per cent, to 5,519.2 points.